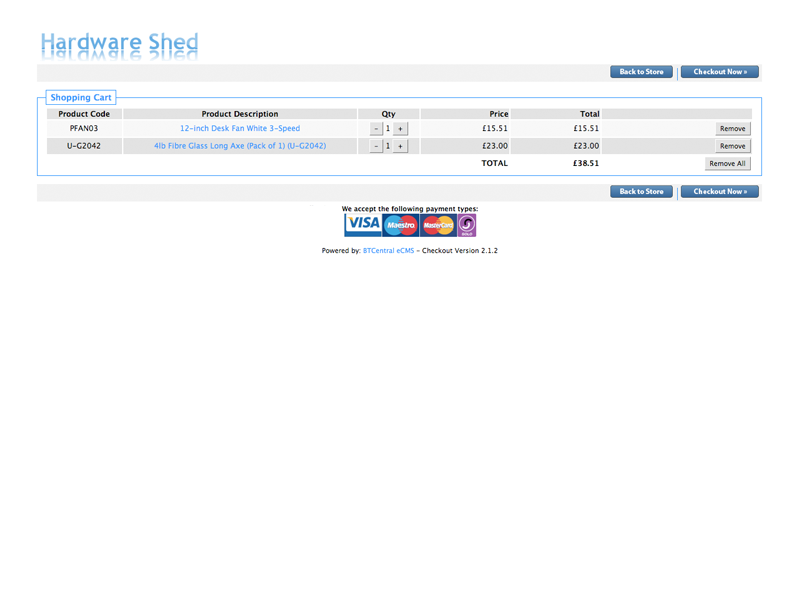 Hardware Shed is the online store for hardware, household and DIY products at great prices. 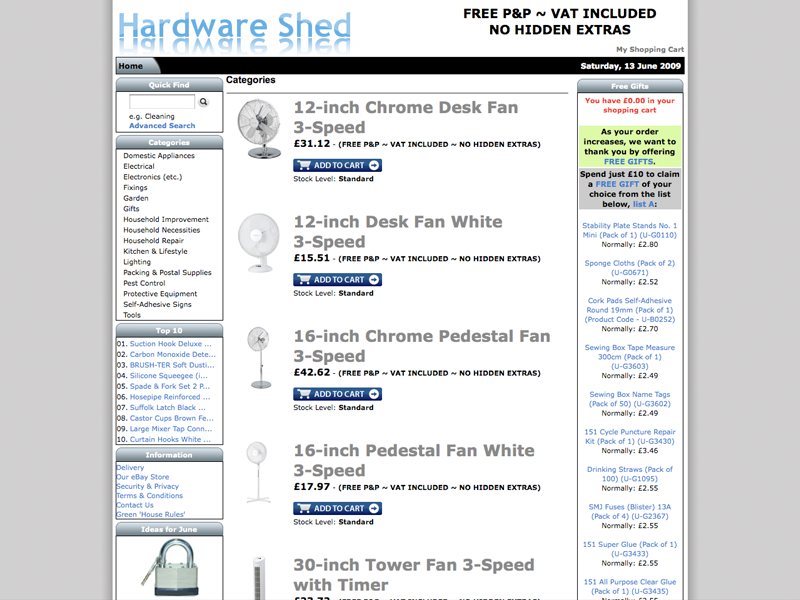 Hardware Shed were looking for an eCommerce package that had to be totally tailored to their exact needs, but was also easy to update and maintain. We designed BTCentral eCMS for them, an eCommerce suite built from scratch that is fast, looks fantastic, and most importantly - is easy to use.